4G internet is the next big thing in India that everybody is talking about. With the launch of Reliance Jio 4G mobile network the demand for 4G smartphones and 4G data cards have increased tremendously. In the newly launched Reliance Jio 4G network you need a 4G LTE capable device to use it. 4G LTE smartphones are very common nowadays and you can find a good 4G smartphone at around 7000 rupees. You can use 4G internet on your PC or laptop using the smartphone by creating WiFi hotspot on your phone but it is not very practical and it can put a lot of stress on your phone and its battery. A USB Data card is the best way to use internet using SIM card on your Laptop or PC. 3G Data cards or USB dongles are very common but finding a 4G Data card is not easy in India and that too an unlocked one. Unlocked data cards can work with SIM card of any mobile service provider or telecom operator. Previously I have written about the best 3G data cards but here I am going to list down the best unlocked 4G data cards in India. Here are the best USB 4G Dongles that you can buy for your 4G SIM card for Internet from Reliance Jio or other 4G networks in India. Huawei E8372 4G data card is one of the best unlocked 4G data cards that you can find in India. Huawei E8372 supports every 4G SIM card and telecom / mobile operator whether it is Reliance Jio, Airtel 4G, Vodafone 4G etc. This 4G Data Card comes with in-built WiFi Hotspot functionality that can be used to connect 10 WiFi devices simultaneously. Just plug-in the 4g data card in the USB Power Adapter and then access the internet on your computer or smartphone by entering your specified WiFi password. This 4G USB dongle detects the APN automatically and is very easy to setup. You only have to setup the WiFi password and nothing else. The admin user interface is web based and it does not support USSD codes and Voice Calling. This 4G data card is backward compatible with 2G and 3G networks. You can also manage this 4G data card remotely from your smartphone or tablet using the Huawei HiLink App. The device remains cool and there is not overheating issue even with continuous hours of usage. It supports microSD card for data storage. WiFi range is also pretty good along with blazing fast 4G speeds. This 4G data card works with both Windows and Mac OS. You can get this 4G data card at a very good price from the link given below. 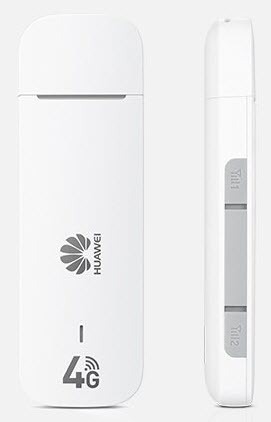 Huawei E3372 LTE MODEM is another very good unlocked 4G data card from Huawei. This one does not come with inbuilt WiFi functionality but you may create Soft WiFi using the wireless adapter of your laptope. This is the slimmest LTE Cat4 data card in the world. Like Huawei Wingle E8372 this is also very easy to setup and supports almost all mobile operators including Reliance Jio, Airtel 4G etc. 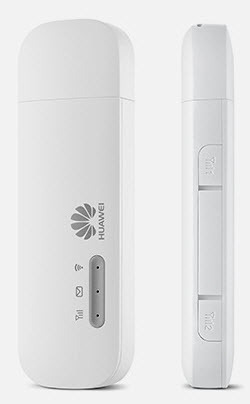 Huawei E3372 is also plug and play device with Web user interface (WebUI). It supports microSD card up to 2GB and IPv6 protocol. Other features include LED indicator and Double External Antenna Support to improve network strength in areas with poor signal. The device does not overheat even with hours of usage. It supports both Windows and Mac OS operating systems. You can get it at from the link given below. At the end I would like to say that if you are looking for high quality and branded unlocked 4G Data Cards then these two are the best at present. They can work with any mobile operator and are plug and play devices. If you have any queries regarding them then you can ask me by leaving a comment below. I don’t use instagram so could not assist on this. pls tell me real way to increase jio speed..i have tried all vpn and apn settings but those settings do not work.. Sorry you cannot do anything more from your side. It has to done at the operator end and make sure your getting good reception. In Huawei E3372, the IP will stick to a same ip address or will change every time i plug in/out (what i actually need) ?? Which IP are you referring to? which 4G/LTE dongles in india support VOICE CALLING & USSD support…???? ?